Powerful, Dependable Twin-Cylinder Engine: Displacing 471cc, liquid-cooled and featuring parallel cylinders with dual overhead cams, the CB500X’s powerplant is very efficient, especially with its performance-maximizing electronic Programmed Fuel Injection. 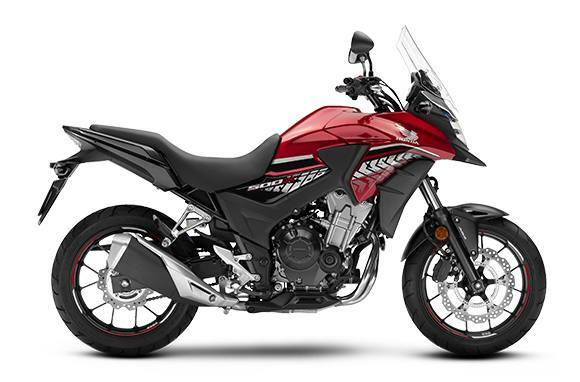 Ready For Adventure: The CB500X is designed to give you a great view of the road and plenty of room to shift your weight for control and maneuverability. 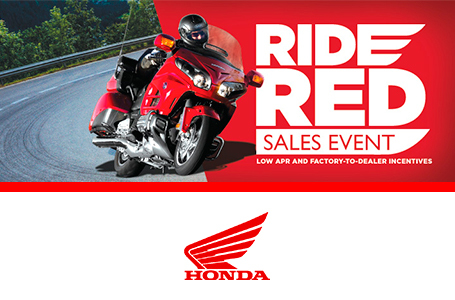 Utilizing a classic upright riding position with a wide handlebar, taller seat and a tighter knees-in fuel tank design, you can maximize your feeling of oneness with the bike and the road. Choose Your Accessories: With Honda Genuine Accessories, you can prepare yourself for whatever you might find down the road. Add hand guards, heated grips, lightbar, trunk, saddlebags and much more. Long-Travel Front Suspension: The long stroke 41mm front fork yields a full 5.5 inches of travel, and a wide handlebar allows for easy steering inputs. Disc Brakes: The front 320mm wave-style disc brake and 240mm rear provides strong stopping power.